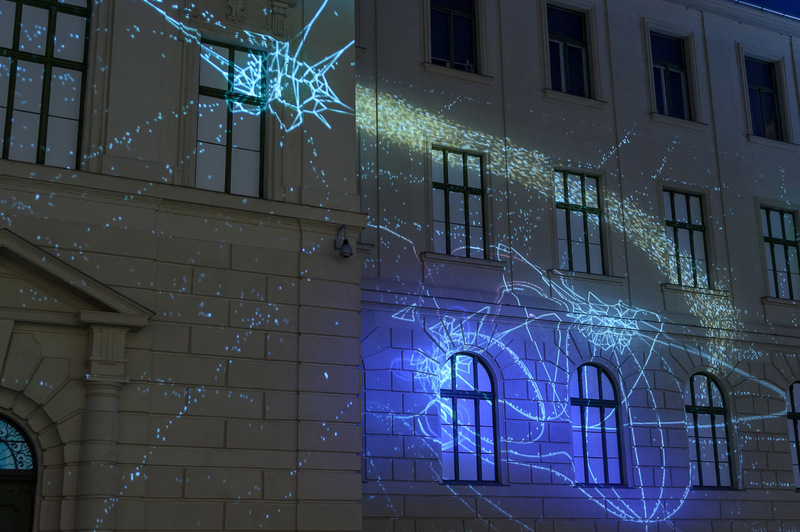 ECHTZEITSTUDIEN is an interactive light and sound installation for the Joanneumsviertel in Graz. 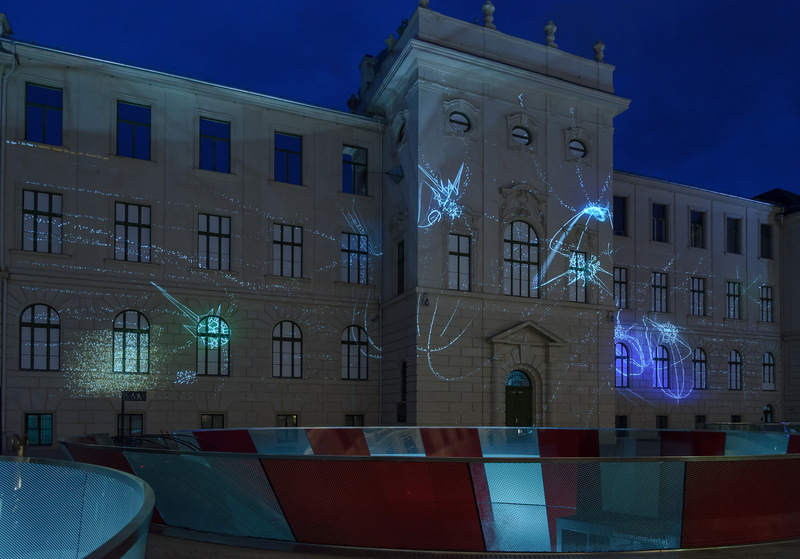 The motivation for the installation is to call attention to the yard of the Joanneum as a place of urban life. 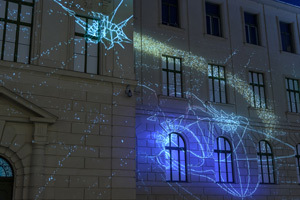 It consists of a projection onto the facade of the Neue Galerie, acoustically accentuated by an abstract sound backdrop. 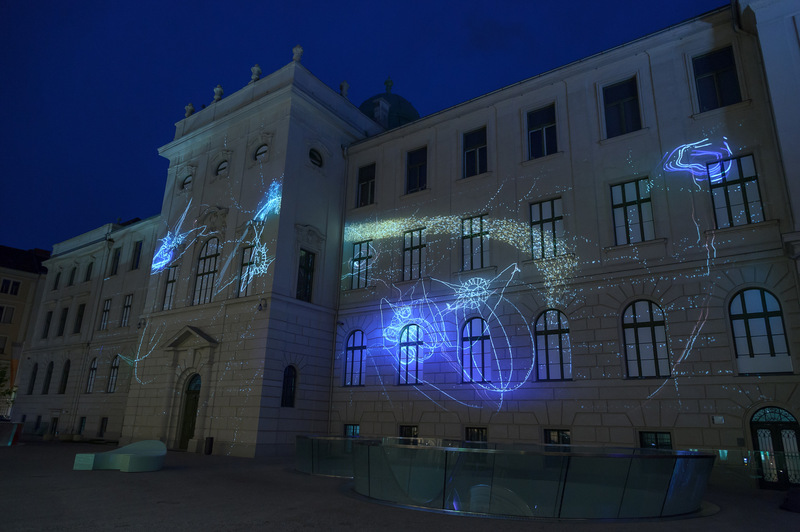 Visitors and passers-by interactively influence the projections and the sound. 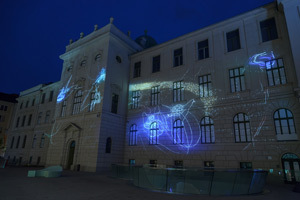 The sound and visual implementation is computer generated and based on physical and biological phenomena. The following five motifs were used: Isolines, Starling, Dynamic Cells, Force Fields, and the superordinated Resonance motif. 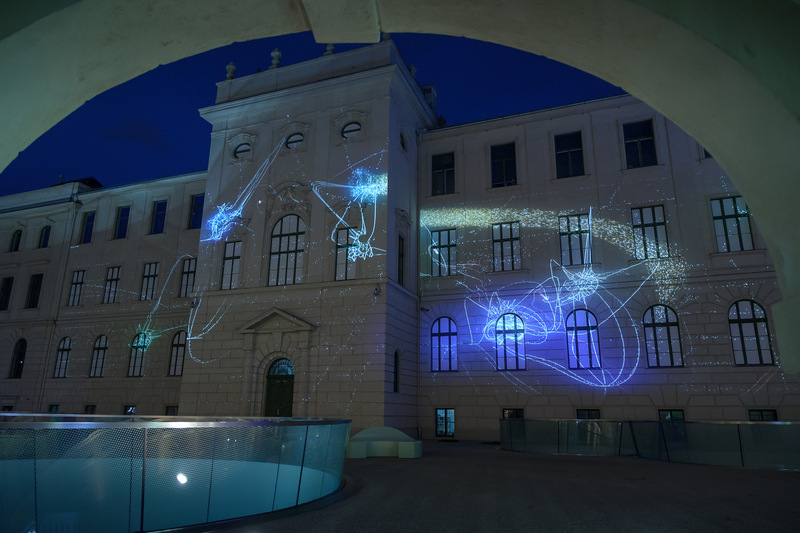 Through direct interaction (over a webapp) and indirect interaction (triangulation of smartphones) of the visitors, the graphic patterns are composed in the projection.